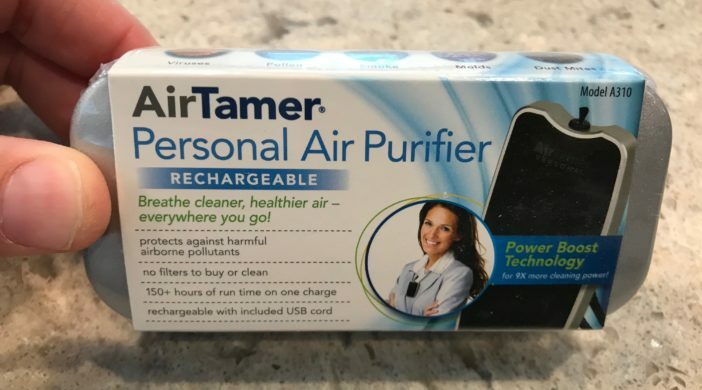 AirTamer A310 Rechargeable Personal Air Purifier is a portable air purifier that can be worn around the neck or placed on a table close to where you are sitting or standing. 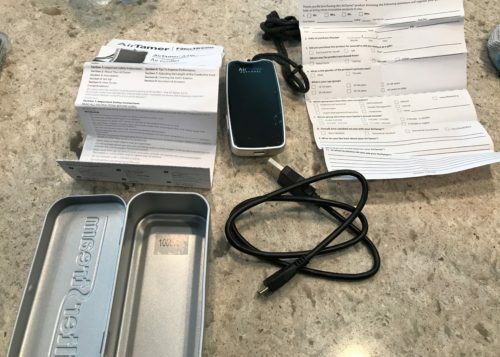 The package comes with a nice metal case for the unit, a charging USB cable (micro USB) and instructions. The company claims that the device can last around 150 hours on a full charge and takes 2-3 hours to fully recharge. There are no moving parts and nothing has to be replaced, so its safe to run over long periods of time. Setup of the AirTamer A310 is very easy. Power it on with the on off switch on the right and put it on the table or around your neck with the included cord. 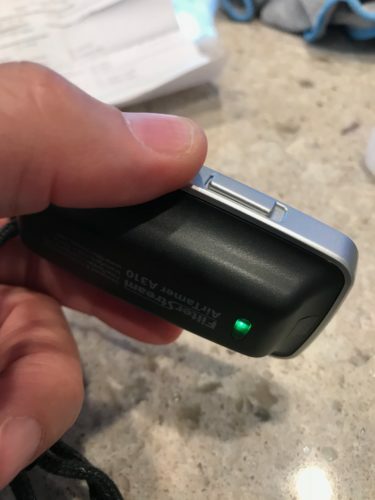 There is a power indicator that is green when fully charged on the back of the device. The cord is a conductive cord with a breakaway connector on the top in case it gets caught on something. The cord should have contact with your skin and nothing should cover the top of the unit, which is where the negative ion emitter is. The negative ion emitter is the heart of the unit which is doing the cleaning. The emitter should be as close to your face as possible when placed on a desk or table. While this isn’t going to be the most fashionable accessory you will wear, it’s light and comfortable to use.The neck strap is adjustable and the material is soft. You can smell the negative ions, but it’s not very noticeable. If you ever used a larger air purifier, it smells the same. I tested it putting the device under my shirt to hide it and it works fine that way. Just be sure that the shirt isn’t too tight so the emitter isn’t covered. It’s not easy to tell how well its working because of what it’s used for, however its very well built and easy to use. 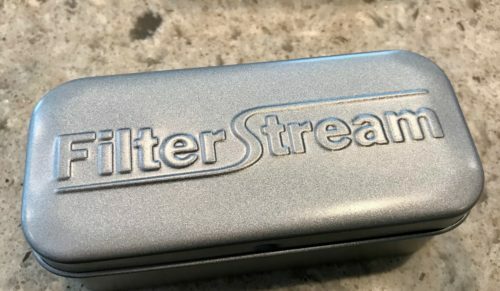 If you work in a dusty or smoky environment, or if you travel a lot, you should give this device a try.